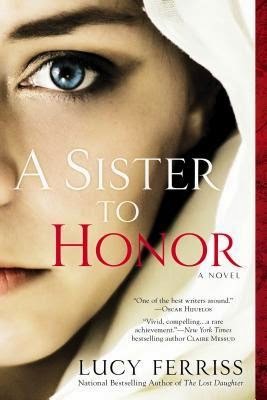 Goodreads: Afia Satar is studious, modest, and devout. The young daughter of a landholding family in northern Pakistan, Afia has enrolled in an American college with the dream of returning to her country as a doctor. But when a photo surfaces online of Afia holding hands with an American boy, she is suddenly no longer safe—even from the family that cherishes her. Kritters Thoughts: A daughter and sister leaves the comfort and safety of her home to go to America to get an education in hopes to return and make her hometown a better place as a female doctor. She brings with her the customs of her home and tries to keep them while living in a completely different culture. At the same time her brother is at a university close and is trying to live within both cultures and having a hard time with it all. Through some interesting twists and turns their home life intersects with their new lives in America and it was explosive. I don't know a ton about Pakistan customs, but as a reader you don't need to know much as you get the idea of how things work through the dialogue of the characters. It was crazy to think that this was a contemporary book and that just maybe these customs and ideals are still lived by currently and seeing them up against an American culture made me really think. If you love books with cultural emphasis, then this one is right up your alley. Also, if you love honest stories that really make you think about the way we live, then you should pick this one up!